Do you have a sterling flatware set, or in some cases, multiple sets, that you don’t use? Are you tired of cleaning and polishing the silver when it gets tarnished? Back in the day, a sterling flatware set was a sign of wealth – think Royalty. From the 1950’s – 1970’s, silver was given as wedding gifts and anniversaries. Tables would be set with the finest silver for dinner parties and to mark special occasions. Today, it is less formal and not too many people use and appreciate a sterling flatware set. Have you considered selling your silver? Sterling is 92.5% silver and will always have an intrinsic value of whatever silver is trading for. Currently, the spot price on silver is $16.76 per ounce. An ounce of sterling would be $16.76 x 92.5%. However, that is not the price you would receive as there are smelting fees, and the company purchasing the silver has to make money, so you would receive less (each company varies in payout). The silver would be weighed and you would be made an offer based on weight and silver price. Are you wondering if your sterling silver flatware set is worth more than the price of silver? The answer is: rarely. The mass population does not use silver. Therefore, there are only a few top silver patterns that collector’s purchase. Sometimes even Tiffany & Co. gets smelted – imagine that! Check your local silver buyer to see if your pattern has a premium. If you live in the Palm Beach County area, feel free to bring in your sterling silver flatware sets and other items for a free quote at the Lake Worth Gold Mine. The American Silver Eagle is a pure silver coin – .999 purity. Although it has a denomination value of $1, it is worth the value of 1 ounce of pure silver (currently $17.68 per ozt). The American Silver Eagle was first released in 1986 by the U.S Mint. It is the only investment grade silver bullion coin that is backed by the United States government. The American Silver Eagle is recognized and trade-able around the world which makes this a sought after investment coin. 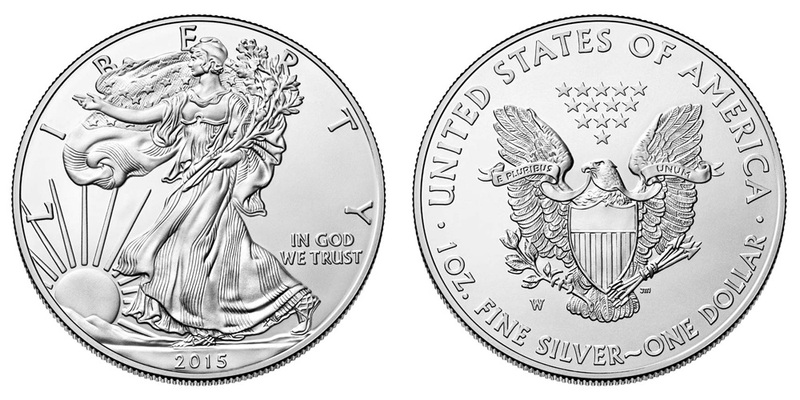 The American Silver Eagle weighs 1 troy ounce. You can purchase in 1 ounce increments or you can purchase by the roll, which is sold in a tube of 20. For those that would like to make a big investment in silver can purchase the “Monster Box” which includes 500 ounces – 25 tubes of 20. Silver prices have risen from 20 years ago (1997) when the average price was $4.84. On April 25, 2011, silver traded at $49.80 per ounce in the New York spot market – the all time high. It quickly fell back. In December of 2015, silver hit a 5 year low at $13.80 per ozt. It has since rebounded and currently trading at $17.68 per ozt. If you are looking to buy or sell Silver American Eagles, be sure to check us out at the Lake Worth Gold Mine for prices. Buying and Selling – we offer low commission rates.